In the Beginning…there was glass! Ann Ott-Cooper, Art teacher at Jackson Middle School was offered free metal plates by a parent. Fortunately, I was asked to collaborate with such an amazing teacher and creative friend. I carried the plates to our local pub one sunny Summer afternoon and asked the locals what they thought. It was a fun experiment but not quite enough to complete this project with 60 students. 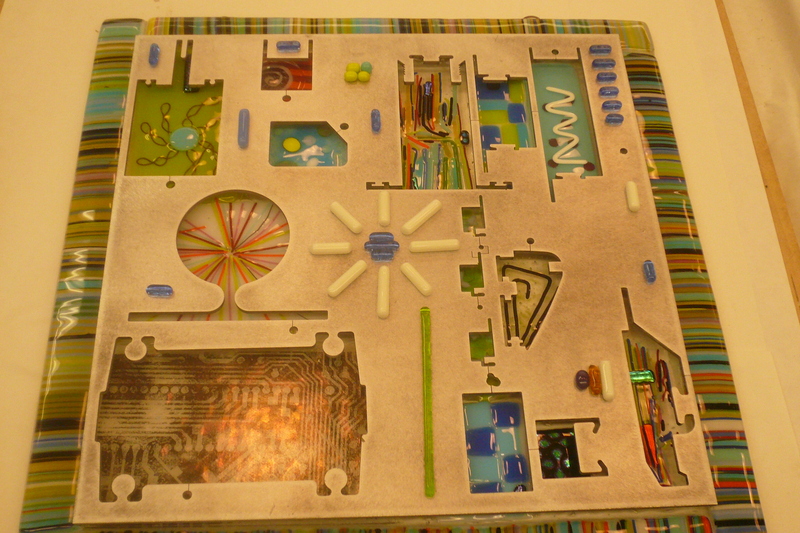 In the end, we decided to build glass plates with frames and windows where symbols of communication told a story. The students connected the windows by gluing small glass pieces and shapes around the metal windows to guide the viewer from window to window. Students xeroxed contact film and added black and white images to the actual 14″x14″ glass plate. The metal plates were attached to the front of the glass plates. Native Portland, Or resident artist. 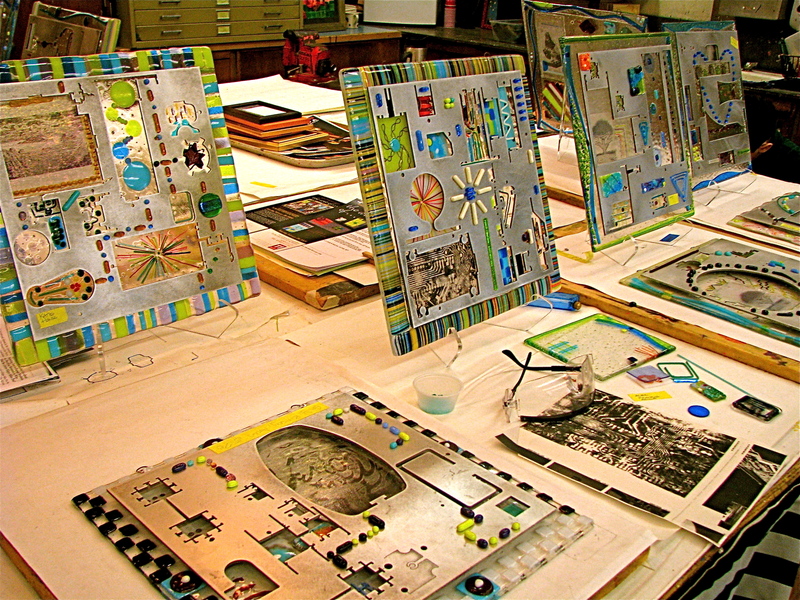 Studio owner and builder of large fused glass public installations. This entry was posted in Glass Installations. Bookmark the permalink.